Spring is here, and World Health Day is April 7 — two good reasons to set employee wellness goals this month to support and engage healthier habits in your workplace! Most employees aren’t even aware of the wellness benefits their company offers. It’s time to rethink workplace exercise incentives involving cash. New research shows money does little to motivate gym visits, even among people who have the intention of exercising more. The experiment, conducted by University of Wisconsin-Madison researchers and published in the National Bureau of Economic Research, randomized about 800 new gym members into four groups. Wellness incentives help reward and encourage healthy employee choices like regular exercise, annual checkups, smoking cessation and nutritious cooking. If your company isn’t already using wellness incentives, now’s a great time to start! Nurse appreciation is the focus of National Nurses Week, which begins this Saturday, May 6. Plan your Nurses Week celebrations now! Nurses could use more appreciation, according to an informal poll on the professional networking and discussion site Mighty Nurse. Employee appreciation gift certificates are the perfect way to thank your staff — and gThankYou has one for every occasion! 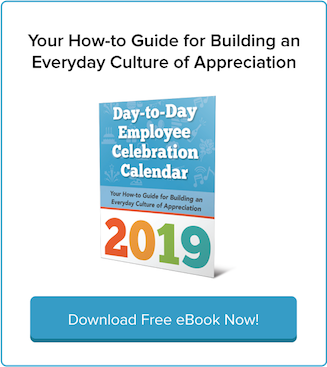 From on-the-spot recognition to workplace wellness incentives to milestone celebrations, and from New Year’s to 4th of July to Thanksgiving, we’ve got you covered. The focus on workplace wellness is here to stay. Healthy employees are more engaged, more productive, and help lower health care costs, so it’s in everyone’s best interest to promote workplace wellness. 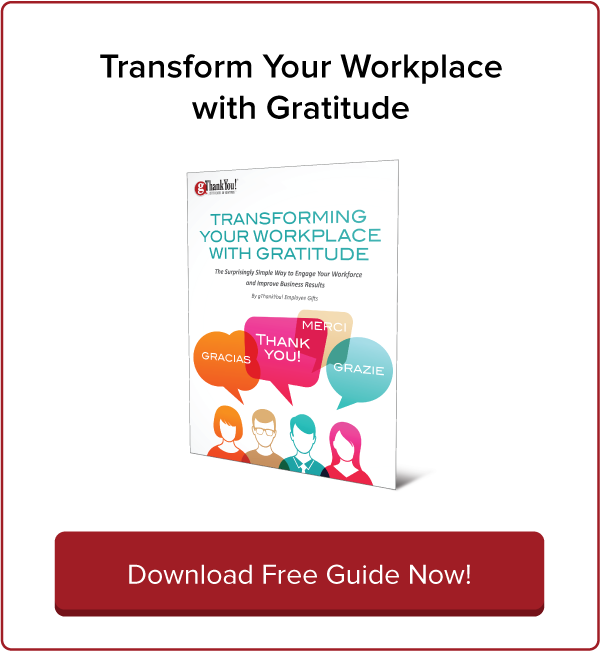 Employee thank you gifts show your workers that you appreciate them and value their contributions. 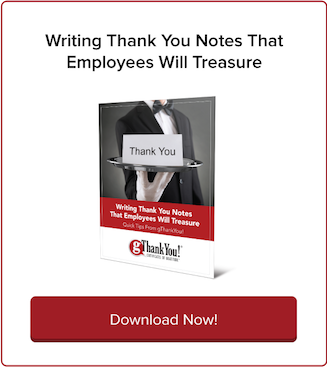 A thank-you is especially meaningful when expressed through a personal note of appreciation, a handshake and heartfelt words of thanks, or leadership’s laudatory remarks at a special event. 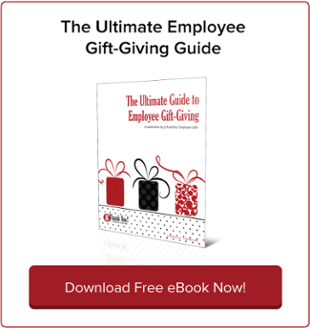 It’s an important employee benefit, but it also improves your bottom line. There’s never a better time to start a workplace wellness program than now! That’s according to the Society for Human Resource Management (SHRM), in “Wellness Programs: How can wellness programs benefit employers, and what are the general steps for implementing a wellness program? Workplace wellness not only reduces health care costs, it improves productivity which is why it’s such a hot topic right now, writes Karen Smith in “Why Workplace Wellness is Important” on the Albanie-Colonie Regional Chamber website. Capitalize on public events like the recent National Bike to Work Day to make your workplace wellness programs more effective. Why? The more actively your employees participate in wellness activities, the healthier they’ll be. On one hand, in my kitchen is often where I most want to be, next to the heat of the stove and a ready pot of tea. But no one wants to leave vegetarian family and friends out of the loop, and even for the meat-eaters things can get pretty heavy. Something has been going around my office, church and social circles, and it’s not a funny Facebook meme. Everyone seems to be coming down with a strange cold-flu hybrid, an exhausting, hacking, miserable illness that takes a good week to work its way out. So put out your blanket on a grassy hill to reserve a spot for your local fireworks celebration and bring a lawn chair down to Main Street so you have a nice view of the traditional, small-town Fourth of July Parade. Thanksgiving may be the only time of year when the entire U.S. orders dinner off the same menu. Everyone knows the basics ingredients for a successful turkey day – mashed potatoes, gravy, stuffing, and cranberries. Fruits & Vegetables Gift Certificates from gThankYou! Employee Gifts were launched today as the company’s newest Employee Gift. gThankYou! Fruits & Vegetables Gift Certificates are available for purchase immediately at the gThankYou!